Intex expanded its Aqua series of smartphones by adding Aqua Y4 smartphone to its product portfolio. The new handset in Aqua series will come with a price tag of Rs. 4,190. This budget smartphone comes with apps such as Ask Me, Intex Service, Myntra, Clean Master and Opera Mini. 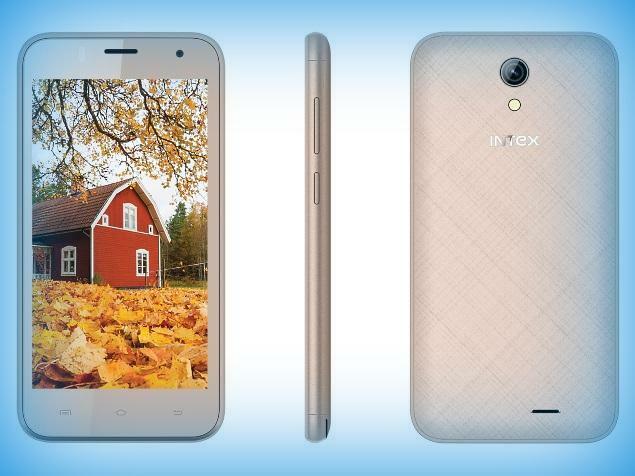 New Delhi: Intex Aqua Y4 is a 4.5 inch display smartphone whose resolution is 480 x 854 pixels. It weighs 132.5 grams. The handset features dual core MediaTek MT6572X processor whose clock speed is 1 GHz. The processor is backed by 512 MB RAM and the internal storage provided is 4 GB. Memory can be expanded up to 32 GB via micro SD. It has 5 megapixel primary camera and there is also 2 megapixel front facing camera on board. The handset runs on Android 4.4.2 Kitkat operating system. Connectivity features include WiFi, Bluetooth and 3G. Other features are 3.5 mm headphones, FM radio and dual SIM. It comes with 1700 mAh battery under the hood. “At Intex we believe in revolutionising a feature rich experience for our customers such that our offerings become a seamless mix of technology at the right price. The Aqua Y4 is the perfect example of designing devices keeping the consumer in mind, even the slightest of convenience of the user is kept in mind while making this new offering, “ said Sanjay Kumar Kalirona, Mobile Business head of Intex Technologies.